"In a well-designed and verifiable program like HumanaVitality, employees take control of their own health and well-being, leading to better business outcomes as well." 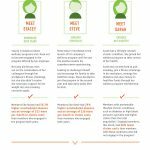 LOUISVILLE, Ky.--(BUSINESS WIRE)--Humana Inc. (NYSE: HUM) today released findings from the HumanaVitality Health Claims and Productivity Impact Study of Humana employees. The two-year study found improved health, as shown through lower health care costs and fewer unscheduled absences, among employees who actively participated in the HumanaVitality program. Humana offers HumanaVitality to employees and has been tracking results since the program’s launch. HumanaVitality is a data-driven wellness and rewards program that motivates members to make healthier life choices. Overall, the study showed a positive correlation between participation in the program and employee productivity. HumanaVitality is helping more than 3.5 million members improve their health and well-being by rewarding them for making healthier choices such as getting preventive screenings, exercising, donating blood or quitting smoking. For an infographic about the HumanaVitality Health Claims and Productivity Impact Study of Humana associates, please visit www.humana.com/whenwellnessworks. For more information about HumanaVitality, please visit www.humanavitality.com. This study was performed on a cohort of Humana associates that were on a Humana employee medical health plan for a full 12 months in at least two consecutive plan years over the study period. The study was conducted by Humana actuaries for the following time period: Baseline Year (July 2010 – June 2011), Year 1 of the HumanaVitality program (July 2011 – June 2012) and Year 2 of the HumanaVitality program (July 2012 – June 2013). Only Humana employees were included in the study; individuals with high cost claims (>= $ 150,000 in the Baseline Year, Year 1 or Year 2) were removed from the sample. The final sample size was 13,046 members in the Year 1 analysis and 16,296 members in the Year 2 analysis. HumanaVitality®, headquartered in Chicago, Ill., is a joint venture between Humana Inc. and Discovery Holdings, Ltd. Humana partnered with Discovery because of its 14 years of worldwide experience using behavioral, clinical and actuarial science to motivate individuals to make healthier choices. By integrating rewards with healthy behaviors, HumanaVitality provides the tools and support necessary to help Humana members live healthier lives and furthers Humana’s Dream to Help People Achieve Lifelong Well-Being(SM). HumanaVitality has more than 3.5 million eligible members who are enhancing their health and wellness through a comprehensive integrated approach to lifestyle improvement. For more information about HumanaVitality, please visit the company’s website at www.humanavitality.com. You can also find HumanaVitality on Facebook: http://facebook.com/humanavitality, Twitter: @HumanaVitality, Pinterest: http://pinterest.com/humanavitality, Tumblr: http://humanavitality.tumblr.com, and Google+: HumanaVitality. i Guidelines for the use of claims data for wellness program evaluation recommend a minimum of three years of program exposure. HumanaVitality will publish the Year 3 results of this study in 2015.
ii Unengaged members with lifestyle-related chronic conditions had 101 percent higher claims costs than the total population, while engaged members with these chronic conditions had 41 percent higher claims costs than the total population. iii Unscheduled Paid Time Off (PTO) hours was used to define absenteeism.